The Age of Revolutions covers a turbulent time in history with many characters, wars and life changes. There will be some overlapping of history resources for this time period and that of the trade and empire time period. Firstly, as recommended previously on the Trade and Empire page, an excellent series as a teacher resource for teaching the Age of Revolutions is Sweet Land of Liberty by Charles Coffin. This can be followed by the sequel, The Boys of '76 : A History of the Battles of the Revolution. "In this modern era of historical dishonesty, the work of Charles Coffin stands strong. His fear of God, his love for his country and his respect for historical truth all combine to give us a faithful, passionate and accurate story of our nation's flight for liberty." Gregg Harris author of The Christian Home School, and director of Noble Institute. Another book which crosses over with the time period, Trade and Empire, was this book: The Light and the Glory, 1492-1793 By Peter Marshall & David Manuel. The second book in Peter Marshall's and David Manuel's God's Plan for America trilogy, From Sea to Shining Sea, is the revised account of the years 1787 to 1837. After the Revolutionary War, America was growing. Was God intervening on behalf of the struggling nation, or the natural outpouring of technological and social changes? Another excellent resource which can be used as a teacher resource for the revolutionary time period or for an older child who is working through history on their own looking for an overview text written from a Christian perspective is Streams of Civilization Volume 2. This has been an integral part of our history studies regardless of the particular homeschool history curriculum we have used. It is a great reference and also useful for outlining. The Kingfisher History Encyclopedia - as said previously, this book is a must-have resource for all time periods. In this time period, we also loved listening to The Providential Battles 2. Building on the foundations laid in Providential Battles I, Bill Potter identifies eight more battles of monumental importance and details how God used men, nations, and events to accomplish His plans. From the Thirty Years War, to the events surrounding the Russian army and forces of the Empire of the Rising Sun colliding in Tsushima in 1905 - each unfolding saga will leave you grateful for God's orchestrating hand in the affairs of men. 4 CDs. Over 257 minutes. 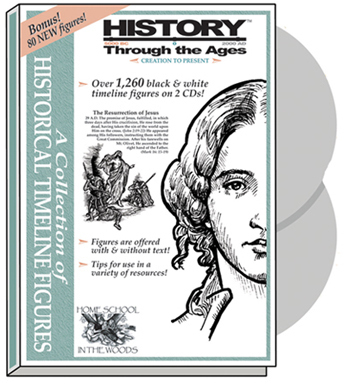 One way to approach homeschool history is by using a spine book to teach history. In the Age of Revolutions, you could use George Washington's World. This gives a horizontal view across the life of George Washington explaining what is happening in other countries at the same time. It is a large book and crosses borders and lives as it moves through his early life to the end of his life. There are more in this series in other time periods. We also loved using the Story of the Thirteen Colonies by H.A.Guerber. Thirteen Colonies describes what life was like before and during the Revolutionary War, from the Native Americans until Washington's Farwell. Please be aware that Native Americans are described as "simple", and other 19th century attitudes are present despite changing the term "savages" to "Indians". 240 pages, softcover. A wonderful spine book which many homeschool families enjoy using when teaching this time period is the Story of the World Series. To study this time period, you would read Story of the World, Volume 3 - Early Modern Times. Many families enjoy using this series and combine it with the CDs, Activity Book and tests. If you love to create your own history unit study, these topics below are great places to begin the study of the age of revolutions. 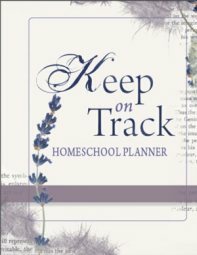 You can read more about developing a homeschool history unit study approach here. Use this Unit Study with the wonderful, wonderful book Johnny Tremain. One of our absolute favourites! Beautiful Feet have also created a unit study in this time period. I like their simple approach of using living books as a base of the study and incorporating questions to help you take away the main points. Unit Four of the Year Two Tapestry of Grace Curriculum covers: French and Indian Wars, Declaring Independence, The Revolutionary War, The new nation under the Articles of Confederation, The Constitution, Presidents Washington and Adams, The French Revolution. TruthQuest History opens the door to living history with wonderful literature recommendations and worldview wisdom based around the two Big Questions. How? Picture your family reclining in a comfy boat. The current of TruthQuest History carries you... because each topic has its own powerful commentary and reading list. Your children do not just visit times... they understand them! They do not just read... they see cause-and-effect truth! 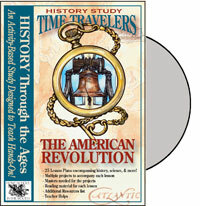 To study the Revolutionary time period, you would use the Age of Revolutions 1 (1600-1800). 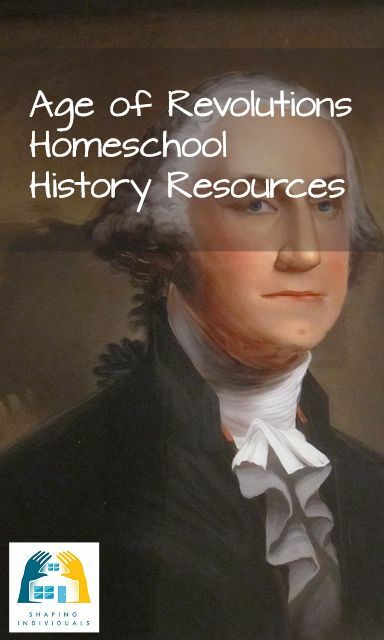 A wonderful homeschool history curriculum by Diana Waring. This approach uses activities, audio CDs, and project ideas. Read more about it on my Trade and Empire Page. To study the Age of Revolutions, you could use Mystery of History Volume III (see my Trade and Empire page for more information). Volume IV of Mystery of History covers 1708 to 2014. It begins with Bach and Handel, brings the reader through multiple "wars of independence" as well as many "wars of ideologies" between Marxism, Darwinism, Fascism, and the Cold War. World War I and II bring the reader to more modern day conflicts, including a collapsed Soviet Union, a divided Korea, tension in the Middle East, and an ongoing War on Terror. 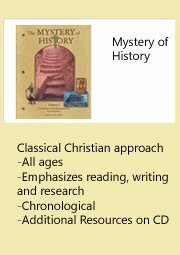 Veritas Press History and Bible Cards - We use these cards with every time period we study and incorporate them to be a part of our own homeschool history curriculum. One aspect of studying a time period, is to study the authors of the time and read the primary sources. 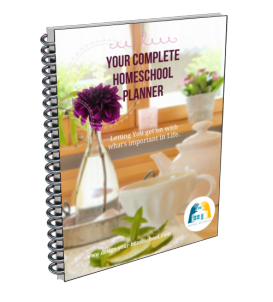 If you are designing your own homeschool history curriculum, you should considering adding these to your plan. 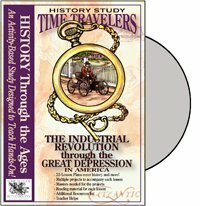 Add in some creative activities using the Time Traveler Revolutionary Project Book and the Revolutionary War Activity Book by Konos. This will enhance your studies and the kids will love acting out the scenes, creating models, dressing up in costume and learning by doing. 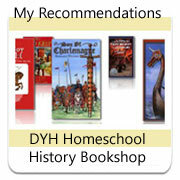 Adding project ideas as a part of your homeschool history curriculum really makes history come alive.